#100DayReset with Sophie Milner | iiaa Ltd | The UK and Ireland distributor of Environ Skincare, jane iredale makeup and Advanced Nutrition Programme. Fashion and lifestyle bloggers seem to have a reputation that precedes them, of being glossy, polished with perfect skin and flawless complexions. Now I can categorically state that this isn’t always the case. Sure, some of us do have flawless skin that have come from regimented skincare routines that we swear by, but I’ve never been one of these girls to fit in that category. Whilst I was taking the pill, my skin was invincible. I'd go to sleep with my make-up on, only ever use face wipes (the horror!) to remove make-up and cleanse, rarely moisturise, pick my skin, etc. 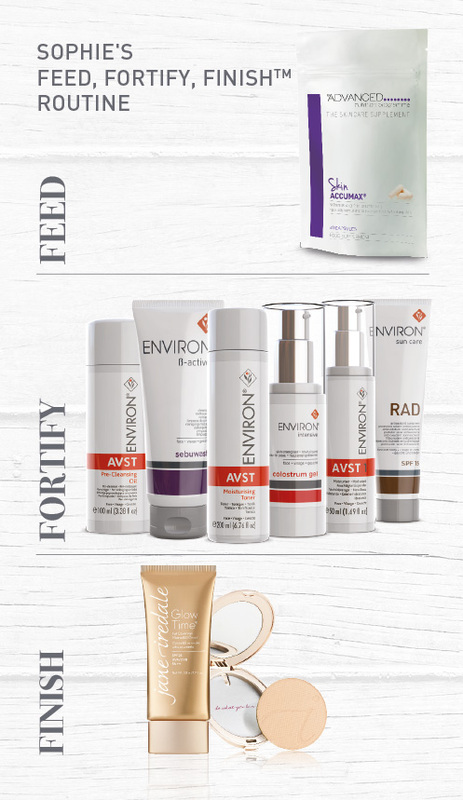 In order to reform my ways, I'm working with the iiaa (International Institute for Anti-Ageing) in the #100DayReset challenge to work towards getting naturally flawless skin by using a tailored programme of their three brands, Advanced Nutrition Programme, Environ, and jane iredale - along with weekly facial treatments. Day 1 started at Skin3 having my initial skin analysis, where my face was scanned with ultra-hi-tech equipment to assess the condition of the skin below the surface. After, I was treated with the Environ Active Vitamin Facial, where Vitamins A, C and antioxidants are driven deep into the lower layers of the skin using state of the art technology. I left with skin looking glossier, more hydrated and fresher than ever before. As part of continuing with the #100DayReset, I'll be having weekly Cool Peel treatments too. Working with the Feed, Fortify, Finish™ philosophy, I was kitted out with a tailored product plan to help me in the challenge.